A California children’s summer camp was designed to recruit “transgender” children to attend its activities. And while this camp claims to be “inclusive” and “safe”, it simply confuses children by causing them to question their biological gender, or pick the gender of their choice. And even more terrifying, parents are knowingly sending their children to this camp at a startling young age. Sadly, children as young as 4-years-old, participate in the programs, because camp organizers claim a 4-year-old has the mental ability to choose whether or not they are a boy or a girl. 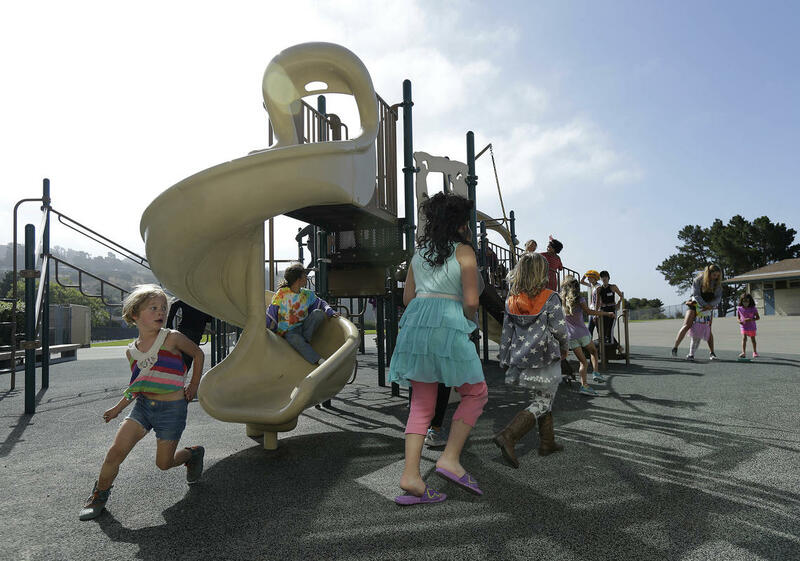 “Rainbow Day Camp and Camp Kickin’ It are two innovative programs launched by enGender, a community-based 501c(3) nonprofit located in the San Francisco Bay Area. We are parents, caregivers, psychotherapists, teachers and friends of gender diverse youth who are gender creative, transgender, gender non-binary or exploring both gender expression and identity. enGender designs environments for our youth without the pressure of going private and of feeling “scared” of their identity secret being revealed. Even worse, theRainbow Day Campleads children through a variety of bizarre activities such as picking their gender for the day. The camp owner claims her daughter was only 2-years-old when her daughter “knew” she was transgender. “Each morning at check-in, campers make their own name tags with the gender pronoun of their choice. Campers are free to change their gender orientation on a daily basis. Camp founder Sandra Collins said she was inspired to start the camp by her transgender daughter. “A decade ago, this camp wouldn’t have existed. Eventually, I do believe, it won’t be so innovative,” Collins told the Associated Press. “I didn’t know you could be transgender at a very young age. But my daughter knew for sure at 2. Many of the parents of campers say that their child has identified with another gender since they were a very young age. Maxwell has allowed her child to grow her hair long, dress as a girl and even change her name. Parents are supposed to protect their children from predators, but these parents are sending innocent children to this camp like sheep to be slaughtered. Instead of protecting their children,the parents are causing their childrenlasting harm and confusion theywill be forced to deal with later in life. Allowing a female born daughter to “choose” to be male, is causing irreparable emotional and psychological damage. Just because a boy likes to have long hair, doesn’t mean he is suddenly a girl. And just because a girl likes to play outside, climb trees, and run around, doesn’t mean she is a boy. While many grown adults choose to “change their gender”, a 4-year-old does not have the cognitive ability to make such decisions. The adults who adopt the transgender lifestyle need counseling and recovery, not encouragement to continue down a dark path. And pushing this agenda onto little children is unconscionable. Do you think this camp targeting “transgender” children should be shut down? What message do you want to tell liberal parents, who claim their 4-year-old is old enough to choose their own gender? Tell us yourthoughts in the comments section below.